These brick door stoppers are the best home accessory you never knew you needed. 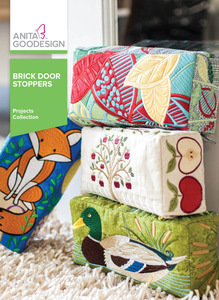 In this collection you will find fifteen themes of blocks to create a brick door stopper for any house. Whether you are making one for a hunting lodge, a beach house, a tree house, a fishing lodge, or your home, there is a design in here for you. 15 different themes with three panels each in one size. Top panel (8” x 2.5”), front panel (8” x 3.75”), and side panel (3.75” x 2.5”).